In an effort to make the Northern Territories less rare in ARRL November Sweepstakes and other events for which it counts as a multiplier, a group of US hams is working to make the station of Jay Allen, VY1JA, near Whitehorse, Yukon Territory, remotely accessible — and potentially more available. 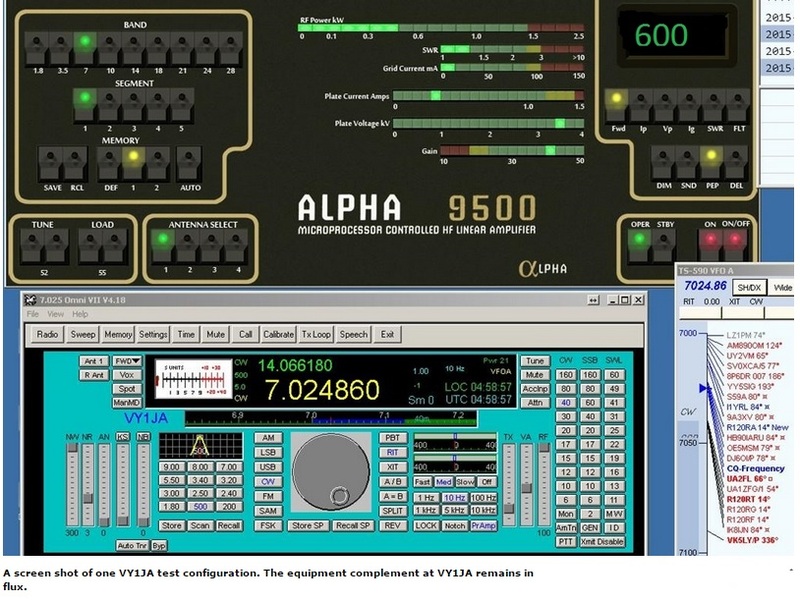 “VY1JA is being slowly rebuilt as a primarily remotely operable station,” Allen told ARRL. “For the foreseeable future, VY1JA operation is going to be handled mainly by guest operators.” Some health issues have kept Allen from being able to operate during contests, so he’s outsourcing the task. The project group includes Gerry Hull, W1VE/VE1RM, a former ARRL staffer who is handling the technical end; Hall Offutt, W1NN, the manager of operations, and Andy McLellan, VE9DX, the digital-modes leader. Although the enterprise is a work in progress at this point, W1NN did operate VY1JA in February for the 2015 ARRL International DX CW — while he was in Tokyo! The biggest problem for Offutt during that trial run was unacceptable latency. “A severe delay made running very challenging,” he said in a post to the 3830 contest scores website. He said that by the time he stopped transmitting, responding stations were already well into their call signs, making multiple repeats necessary. “Hopefully in time and with some work, the delay can be overcome or at least shortened, and this remote arrangement will be a lot easier to use in the future,” he said.